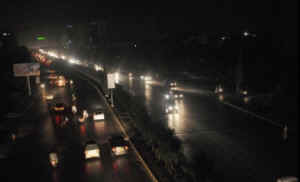 On July 30th and 31st, the world’s largest blackout – The Great Indian Outage, stretching from New Delhi to Kolkata – occurred. This blackout caused by northern power grid failure left nearly 700 million people – twice the population of the U.S. – without electricity. A grid failure of this magnitude has thrown light on the massive demand for power in a country and its struggle to generate a much-needed power supply. India aims to expand its power-generation capacity by 44 percent over the next five years. In June, the country’s power generation fell short by 5.8 percent against a peak-hour demand for 128 gigawatts, according to government data. India is divided into five regional grids, which are all interconnected, except for the southern grid. All the grids are being run by Power Grid, which operates more than 100,000 kilometers of electricity transmission lines. Serious concerns have been once again raised about the country’s growing infrastructure and inability to meet its energy needs. Government officials have concluded, “The grid failed because of the overloading of power,” and contend that “many states” try to take more power than they are allotted from the grid. The country’s lack of energy security is a major constraint to its capacity to generate power. The slow pace of tariff reforms is hindering infrastructure investment at the state level in most parts of the country. The centralized model of power generation, transmission and distribution is growing more and more costly to maintain at current levels to meet increasing energy needs. 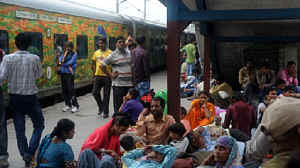 The blackout and shortage of power are hampering India’s economic growth and its capacity for growth. So what can the world’s biggest democracy do to help eliminate such wide-sweeping outages in the future? Government should assess how best to address the power needs to meet the future growth and prevent such massive power failures. India’s power blackout is an opportunity for developing sustainable energy. India urgently needs to develop and deploy large-scale renewable energy to end its power grid outages. I have addressed these concerns in my presentation, Renewable Energy Solutions For India – A Strategic Development Plan, and in the following published papers: How Concentrated Solar Power Can Meet India’s Future Power Needs, Solar Farming Potential in India, How To Empower India With Big Solar Energy Plans, and Full version: India’s Solar Sunrise – Renewable Energy Focus. For economic as well as environmental reasons, India needs to shift to non-polluting renewable sources of energy. Renewable energy is the most attractive investment because it will provide long-term economic growth for India. Decentralized off-grid renewable distributed generation sources like solar, wind, hydro, biomass, biogas, geothermal, hydrogen energy and fuel cells are the answers. These sources have the advantage of empowering people at the grassroots level and utilize distribution and transmission methods with little to no emissions. India should consider developing targets for electrification that include renewable off-grid options and/or renewable powered mini-grids. This will take a substantial electrical load off the existing power grid and also reduce the need for installing additional transmission and distribution systems. Deployment of large-scale solar and wind projects are needed to begin a smooth transition from fossil fuels and nuclear power that is harming both communities and the environment. India can use renewable energy for meeting all future energy needs because it is sustainable, locally available free of charge, eco-friendly and eliminates global warming. Solar is the prime, free source of inexhaustible energy available to all of us in this universe. 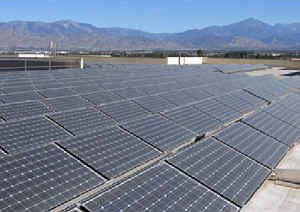 India is one of the Sun’s most favored nations, blessed with about 5000 TWh of solar insolation every year. Even if a tenth of this potential was utilized, it could mark the end of India’s power problems – using the country’s deserts and farmland. India should tap this vast resource to satisfy its growing energy demand – and time is of the essence. India could lead the world by embracing the power of the sun, if smart business models and favorable policies are developed and implemented nationwide as quickly as possible. Solar Energy has the potential to re-energize India’s economy by creating millions of new jobs, achieve energy independence, reduce the trade deficit and propel India forward as a “Green Nation.” In short, solar offers too many benefits for India to ignore or delay its development. India imports oil, coal, and natural gas and millions of rupees are spent on it, but enormous renewable resources of solar and wind energy goes to waste because it remains unused. India’s present generation capacity is about 186,000 MW. India could potentially increase grid-connected solar power generation capacity to of over 200,000 MW by the year 2030, if adequate resources and favorable policies can be developed. In addition, wind energy is a viable energy source in India and has a potential to produce over 100,000 MW by 2030. All new energy generation in India could be renewable and all pre-existing energy production could be converted to 100 percent renewable energy by 2050 while maintaining a reliable power supply, if all available renewable energy sources like solar, wind, hydro, biomass and biogas are properly developed and utilized. The government of India is taking many measurable steps toward improving infrastructure and power reliability, including the development of renewable energy from solar and wind. But clearly more needs to be done, and fast. One step in the right direction has been the establishment of the Jawaharlal Nehru National Solar Mission (JNNSM), which was launched in late 2009. However, the present JNNSM target of producing 10 percent of its energy, 20 GW by 2022, is inadequate. JNNSM needs to take bold steps with the help of central and state governments to play a bigger role in realizing India’s solar energy potential. India needs a plan, it’s just like the case of personal computers, which were very expensive to begin with, but with mass production, the cost has come down dramatically. The technology is well established and available today for solar and wind energy. All that is needed now to make this concept a reality is political commitment and appropriate investments and funding to harness the solar and wind energy resource to reduce the India’s dependence on fossil fuels. One step toward achieving this goal would be to start a nationwide solar initiative to facilitating growth in large scale deployment of 100 million solar roofs and large utility-scale generation installations within the next 20 years. India can become a major player and international leader in the solar energy for years to come. Now is the time for the country to make the shift towards more sustainable renewable energy power sources. First, aggressively expand large-scale deployment of both centralized and distributed renewable energy including solar, wind, hydro, biomass, and geothermal to ease the strain on the present transmission and distribution system and reach more off-grid populations. Facilitate growth in large scale deployment by installing 100 million solar roofs and large utility-scale solar generation of both centralized and distributed energy within the next 20 years. Second, enact a National Renewable Energy Standard/Policy of 20 percent by 2020 – to create demand, new industries and innovation, green jobs, etc. Third, develop favorable government policies to ease the permitting process and to provide start-up capital to promote the exponential growth of renewable energy. Create and fund a national smart infrastructure bank for renewable energy. Fourth, accelerate local demand for renewable energy by providing preferential Feed-in-Tariffs (FIT) and incentives (e.g., accelerated depreciation; tax holiday; renewable energy fund; initiatives for international partnerships/collaboration incentives for new technologies; facilitate human resource development for solar revolution; zero import duty on capital equipment, raw materials and excise duty exemption; and provide low interest rate loans). Fifth, phase out all energy subsidies. Force petroleum products to compete with other fuels, like biomass, biogas, etc. Sixth, accelerate the development and implementation of cost-effective energy efficiency standards to reduce long term demand for energy. Engage states, industrial companies, utility companies, and other stakeholders to accelerate this investment. Seventh, initiate a move to electrify automotive transportation or develop electric vehicle (EV) – plug-in hybrids such as the Nissan Leaf or Chevy Volt. Develop and implement time-of-day pricing to encourage charging cars at night. Adopt nationwide electric car charging from solar panels on your roof and solar-powered electric vehicle charging stations around the country. Thousands of these solar-powered recharging stations can built across India, just like the present public call office (PCO) giving birth to the “Green Revolution.” These recharging connections can be deployed at highly concentrated areas including shopping malls, motels, restaurants, and public places where cars might be parked long enough to get a jolt of needed power for electric vehicles. Eighth, aggressively invest in a smart, two-way grid and micro-grid. Invest in smart meters; reliable networks that can accommodate the two-way flow of electrons, and resilient networks that do not result in cascading blackouts will be in a better position to accommodate the advanced generation technologies of the future. Ninth, develop large scale solar manufacturing in India (make India a global solar manufacturing hub). Promote and establish utility scale solar generation parks and farms. Also, establish R&D facilities in academia, research institutions, industry, government and civil society to guide technology development. Tenth, work towards a Hydrogen (H2) Economy development plan (H2 as the fuel of the future). H2 can also be fed into a fuel cell, a battery-like device that generates heat and electricity. Develop fuel cell vehicles. Produce hydrogen using renewable energy with solar and wind power. If done successfully, hydrogen and electricity will eventually become society’s primary energy carriers in the twenty-first century. For more details, see my publications: Hydrogen Economy – A Revolutionary Vision for the Future of Energy, and How to Eliminate America’s Addiction to Oil. Solar energy represents a bright spot in India’s economic future. If India makes a massive switch from coal, oil, natural gas and nuclear power plants to solar energy, it is possible that 70 percent of India’s electricity and 35 percent of its total energy could be solar-powered by 2030. Excess daytime energy can be stored in various forms such as molten or liquid salt (a mixture of sodium nitrate and potassium nitrate), compressed air, pumped hydro, hydrogen, battery storage, etc., which would be used as an energy source during nighttime hours. Solar energy will be competitive with coal as improved and efficient Photovoltaic (PV), Concentrated Solar Power (CSP), and Concentrated Photovoltaic (CPV), enter the market. I predict that solar farming advancements and growth would empower India’s rural economies. To take advantage of low cost renewable solar energy, companies will move their operations from urban areas to rural areas due to cheaper land and labor within the solar belt. I personally think there are no technological or economic barriers to supplying almost 100 percent of India’s energy demand through the use of renewable energy from solar, wind, hydro and biogas by 2050. It’s time to recognize that our energy must ultimately come from renewable resources, and we must accelerate the deployment of renewable energy. By using renewable resources, India can realize its full economic potential and achieve its key social, political, and environmental objectives. The Indian government should develop favorable government policies to ease the permit process and to provide start-up capital to promote the exponential growth of solar energy to make India’s bright future. Solar energy is a game-changer for India: It has the potential to re-energize India’s economy by creating millions of new jobs, achieve energy independence, reduce the trade deficit and propel India forward as a “Green Nation.” Solar energy offers too many benefits for India to ignore or delay its development.